Cozumel, Mexico might be better known for its diving and tourism, but it’s also home to some of the most successful fishing cooperatives and TURFs in the world. In a recent trip with our partners Rare and the Sustainable Fisheries Group at UCSB, we met with fishing cooperatives from Mexico to learn from these fishers and communities about successful TURF-Reserve models and conditions that have contributed to their success. It was an amazing opportunity to share learnings and experiences cross-country (and truly, around the globe). First, some background on cooperatives. 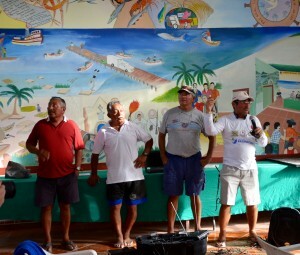 A cooperative is a group of fishers who communicate about and coordinate their fishing activity to meet their goals. Cooperatives can perform a range of activities, from coordinating fishing activities to participating in co-management, and even marketing their products. Successful cooperatives also sustainably manage their fishery so that the species are healthy and simultaneously provide for sustainable livelihoods for fishers. Fishing cooperatives can be especially critical to sustainable fisheries management, especially in areas where governance is weak. Many cooperatives also invest a portion of their profits in community projects, which increases awareness of the importance of fishing resources as an important source of income and prosperity for the community as a whole. 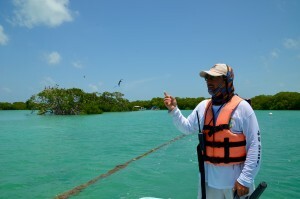 from the state of Quintana Roo and Buzos and Pescadores in Isla Natividad from Baja California Sur. 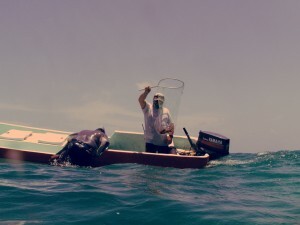 These three cooperatives have been granted exclusive access to fishing areas, i.e., concessions or TURFs, to fish for lobster within their area by the Mexican government and have been operating for around 40 years. When granted concessions, the cooperatives are incentivized to steward the resource since the health of the fishery is directly tied to their fishing behavior. how eventually, a portion of their profits were contributed to the group in order to meet their larger goals – building processing plants or searching for MSC certification. But I think the biggest takeaway for us all was that organization and dedication to a vision of sustainability is the most important thing that cooperatives can have to be successful – in managing their resources sustainably while providing sustainable livelihoods. This sort of cooperation amongst fishers will be crucial for our small-scale fisheries work at EDF, where many of the fisheries we are seeking to reform are in areas of low governance. These cooperatives have overcome many challenges including depletion of their primary resources and learning how to coordinate amongst themselves, before becoming as successful as they are today. It was clear that the designation of these areas to the cooperatives was a first step towards sustainable practices. By learning from their prior experiences, the groups were able to make their own management decisions (in accordance with the federal laws) and regulate their catch – putting the responsibility in their own hands. This process has made fishers proud of what they do, and secure that the resource will be healthy for their children to catch. It has empowered to become true stewards of the environment and their resources, and to reap the rewards of their stewardship. Speaking with members from the cooperatives and learning about their structure, fishing techniques, challenges and how they overcame them was a unique learning experience for all of us working on small-scale fisheries at EDF and with the Fish Forever project, and especially our in-country partners who are working with fishing communities every day. Crucially, we were also able to discuss contexts and conditions in each country where we are working together – to discuss how to take the lessons and insights from the Mexican cooperatives to the Philippines, Indonesia, Mozambique, and Brazil – and to share the experiences in each of those countries. Further, the lessons learned here can also apply to EDF’s work on small-scale fisheries in Belize, Cuba and Spain. Learning directly from communities – on what has worked for them – will have direct impact on our work with small-scale fishing communities around the world, where fishing organizations will play a crucial role in managing their fisheries for a sustainable future. This entry was posted in International, Mexico and tagged community engagement, fishing cooperatives, learning from communities, small-scale fisheries, SSF, TURF Reserve. Bookmark the permalink. Both comments and trackbacks are currently closed.